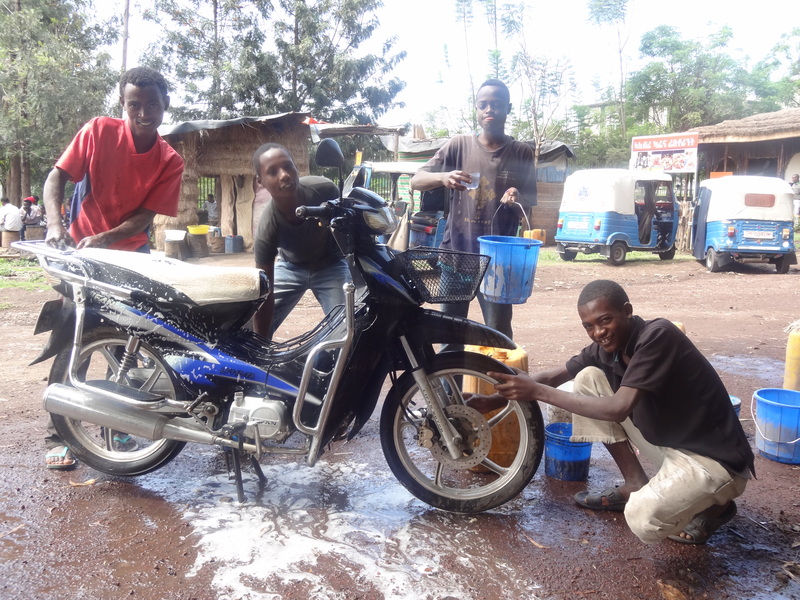 Here are 4 street boys (from right to left – Bereket, Habtamu, Cherenet and Segai) washing my motorbike. They graduated from the training program as stated in our last entry in August and now they are in a 2 month support program, where they are learning practical methods of business management (i.e. saving enough money each day until they can pay their rent and have enough money for food throughout the following month). They also opened their group association bank accounts according to the type of businesses in which they are engaged, allowing them to save money to either expand their present business or engage in another. They are living together in groups of 3 boys to a room and learning to resolve their conflicts, cook their food and follow the instructions of their caseload managers. 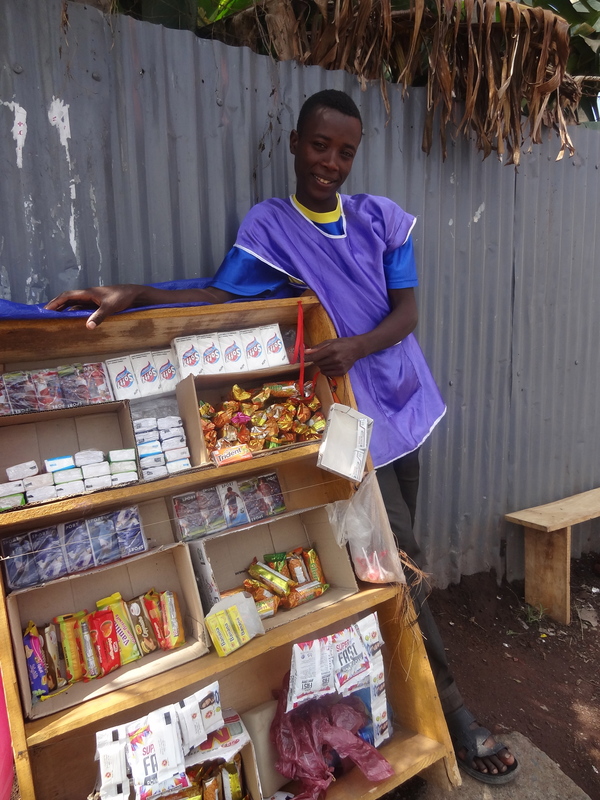 From the first cycle of 32 graduates another 10 boys left the support program after being placed in their rooms and given an inventory of products to sell on the street. The boys face many practical and spiritual problems which their managers often never know about until they suddenly leave. Some return to their addictions or some decide to sell their own or steal the merchandise of others with whom they are living as a get rich scheme. We have learned much through this first cycle of street children and will make adjustments in both the screening and training of the next cycle of boys. The remaining 20 boys are still struggling with their businesses but are willing to help train and prepare the next cycle of candidates for the challenges from which they have learned. Meet Addisu, another graduate in the support program. He was approved by the local government officials to sell on this favorable busy street in Hawassa but 3 weeks after beginning the business he was cased out by 4 older boys and robbed of all his merchandise and money. This is a lesson for all the other boys to sell together even though they might not like the competition with each other. He’s wearing his jacket and carrying his ID card that identifies him as a graduate of this highly approved program by the local officials. The boys need to make $1.50/day to pay for their rent and food for the month. The rest goes into their savings account to realize any future dreams. One of the hardest temptations is to delay immediate gratification of desired purchases in ordr to build up capital and prosper later. Another challenge is to aggressively sell your product and develop a joyful, expectant attitude that stirs compassion in those passing by. Some have this business presence naturally and others have to learn it in staged practice dramas.